Okay, this is going to be a little different from my previous Flashback Fridays. Instead of fangirling and basking in nostalgia, today we’re going to talk about my friend Jordan. 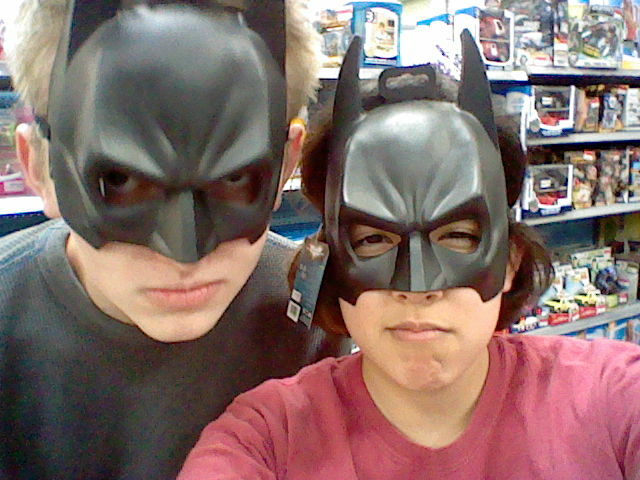 Also, we are The Batman. Jordan: So… you like Bleach? Jordan: Yeah. Do you like other anime, too? Me: Yeah. I like Naruto and stuff. Do you? Jordan: Yeah. How far are you in the manga? Me: I’m current with Japan. And so began a beautiful friendship. But back to the topic at hand. 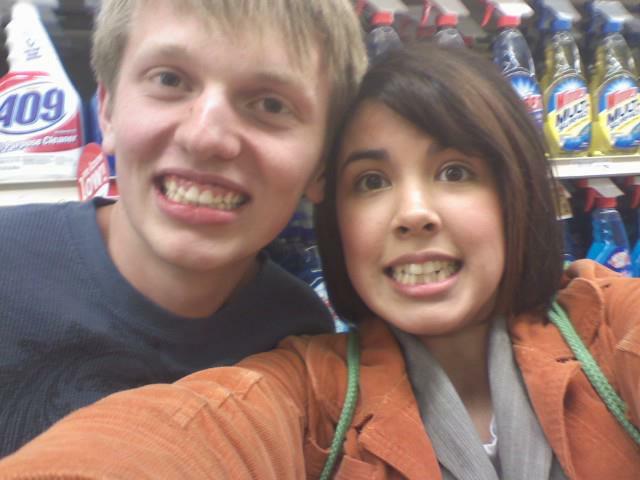 After that day, Jordan and I embarked on a wonderful nerdy adventure that, as of now, has lasted about five years. One time, we showed up to our high school robotics team’s end-of-the-year party wearing identical, bright orange Wise Family Reunion T-shirts, just to see if anyone would notice. We also brought our own beverages and bottles of bubble stuff. We sat around in the yard, blowing bubbles–again, to see if anyone would notice. 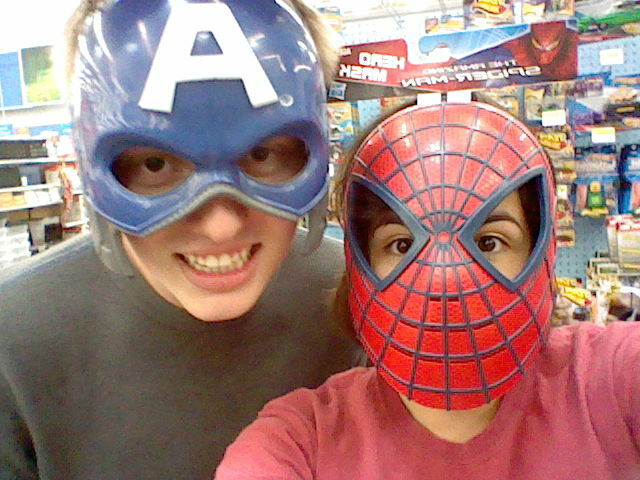 Nobody was terribly impressed, but we thought we were pretty rad. I can’t even tell you how many times we’ve gone to the movies and snickered through the whole thing, trying to keep our witty commentary quiet enough that we don’t both other viewers with our humor. Or how many times we’ve argued about shipping in Naruto. Or argued about how he’s perpetually running 10 minutes late, while I’m perpetually running half an hour early. (Believe me, that kind of difference is not easy to reconcile!) Or waxed poetic about Pokemon–and believe me, we’ve done a lot of that. (I’m still trying to get him to divulge his secret for breeding invincible super Pokemon.) Or gushed about The Dresden Files. Or just basically been best bros for the last five years. Next week, Jordan is leaving for his Mormon mission. He’ll be in Chile for two whole years. Two. Years. I’m exceedingly happy for him, because I know how much his mission means to him. But I’m also incredibly bummed because I won’t get to hear his voice or see his face or communicate with him in real-time for two full years. We’ll be exchanging letters, of course (and I’ve promised to keep him updated on the new Naruto chapter every week, complete with my own hilariously-bad illustrations), but it’ll be difficult. I’m going to miss him like crazycakes, and before he goes, I just wanted to make sure that you all know what a wonderful friend my Jordan is. So, once again: This is my buddy Jordan. I’m so fortunate and proud to be his friend. He’s one of the sweetest guys in the world. If you know him, you’re lucky! If you don’t know him, you’re missing out!